General Manager Mark J. Patrzik in his office at Albany Chrysler, Dodge, Jeep, Ram on Friday afternoon. Readers kept asking about changes at one of Albany’s remaining new-car dealerships, and Friday I finally got around to finding out what’s what. Yes, now I have. I visited with Mark J. Patrzik, the general manager, at what used to be MTM at 2315 Santiam Hwy. S.E. The business has changed hands, obviously, and the new name is Albany Chrysler, Dodge, Jeep (and) Ram. The new owner is Steve Jackson, who also owns Toyota stores in Corvallis and Newport as well as dealerships selling other makes in Dallas, Texas, and Folsom, Calif. The ownership of the Albany business, meaning the two lots on the north side of Santiam flanking Davidson Street and together making up about 1.9 acres, changed on Dec. 1. MTM’s downtown GMC lot between Lyon and Ellsworth was closed months ago. As I understand it, Mark Thomas has found a buyer for the property, and the sale is supposed to close soon. I did not get the name of the buyer, but I understand the new owner intends to use the site for something other than a car store. Patrzik (the “r” is silent; the name is pronounced PATzik) has been with the dealership on Santiam for about a year, having moved here from Colorado Springs. 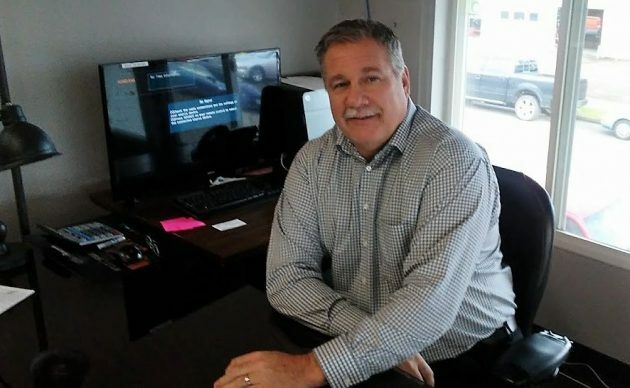 He’s been in the car business for more than 20 years, has known Jackson for a long time, and recommended him as a prospective buyer when Thomas wanted to get out of the business. Albany Chrysler has about 45 employees, Patrzik told me. The lot east of the main building had been where new Hyundais and used cars were sold. Hyundai is no longer part of the business, so now the lot is where Albany Chrysler has its used vehicles. 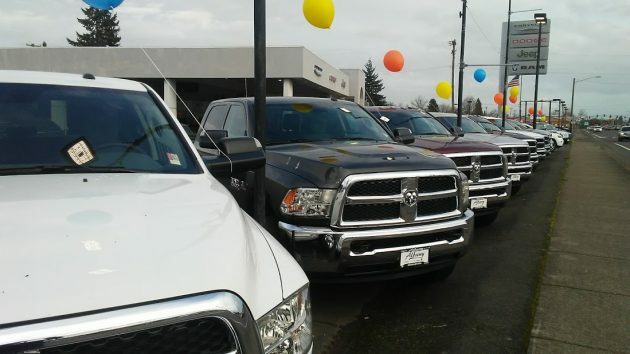 Trucks nose up to Santiam Highway at Albany Chrysler, Dodge etc. 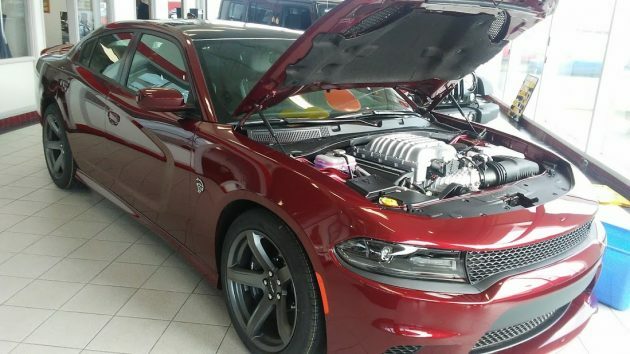 It’s hard not to marvel at this Charger Hellcat with its 6.2-liter supercharged Hemi V-8 that, I’m told, can develop more than 700 horsepower. Do you know the status of the old MTM Used Car lot on Pacific Blvd. located just south of the Amtrak station? That’s been dormant or vacant for a long time, hasn’t it?